I remember when I saw this sort of thing for the first time when I was living in Europe. Groups of four different types of apples were packaged together in individual wraps, and then again in an overall plastic covering. I thought it was completely unnecessary and wondered why these companies did this? I originally thought it was something strange Europeans did, to find later that grocery stores in Ontario were doing the same thing! Are producers afraid of damage and bruising during transportation? 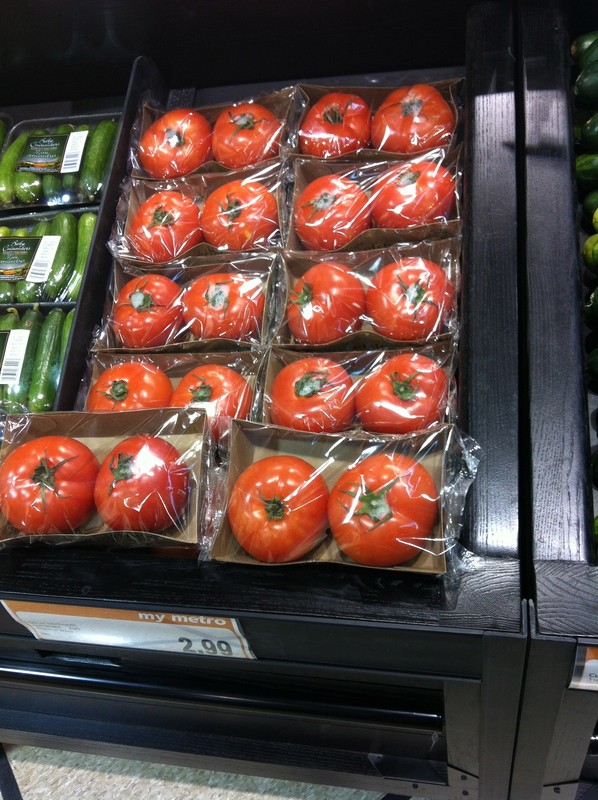 You would think that with the “new and improved, genetically modified thick skins” that so many types of tomatoes have now, they would be able to overcome this issue without the excess plastic!